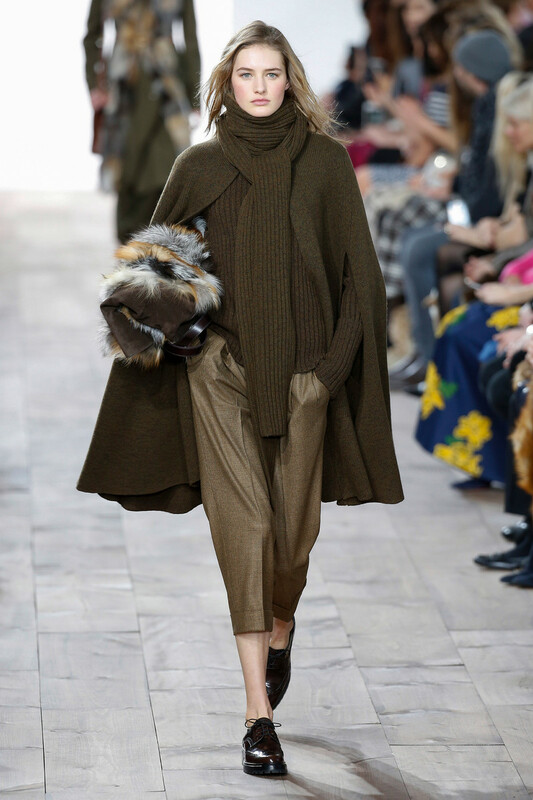 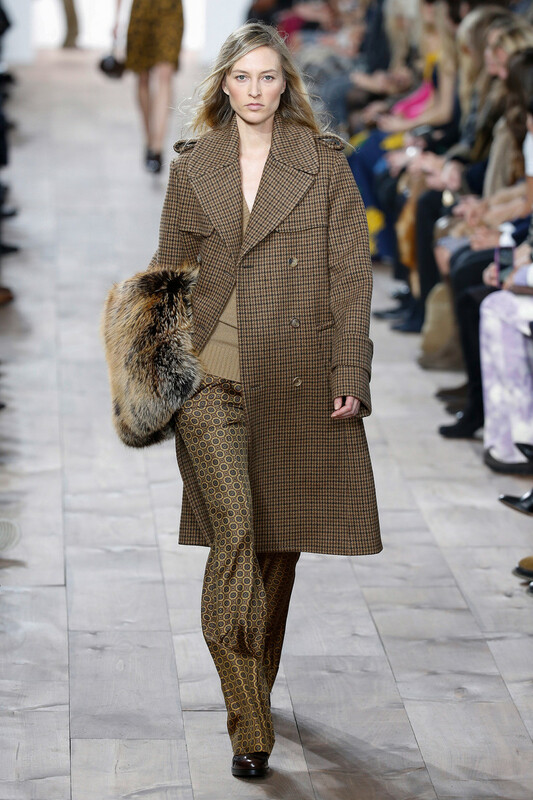 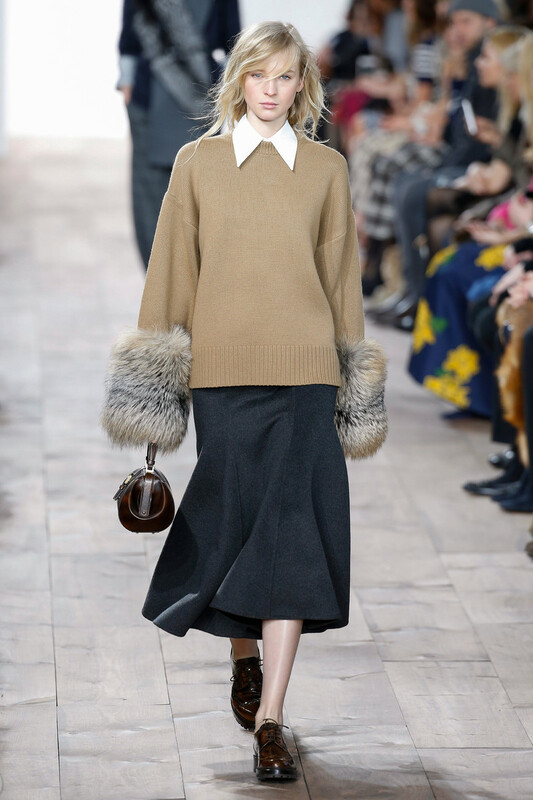 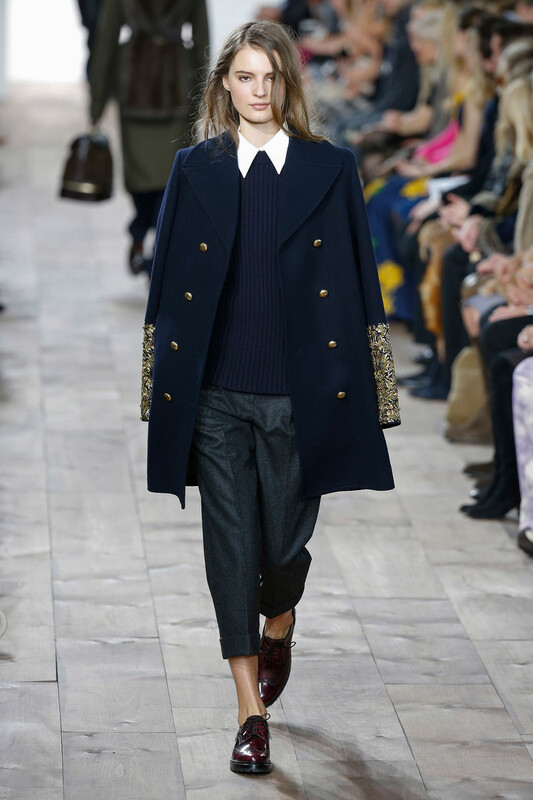 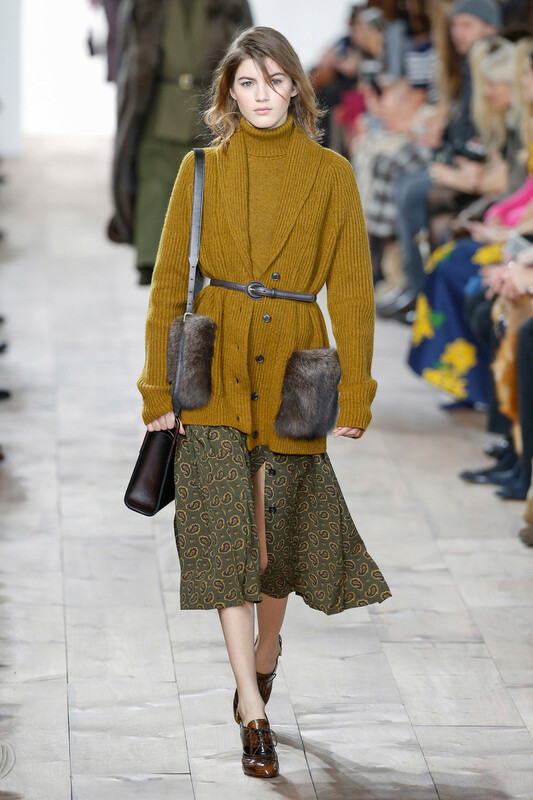 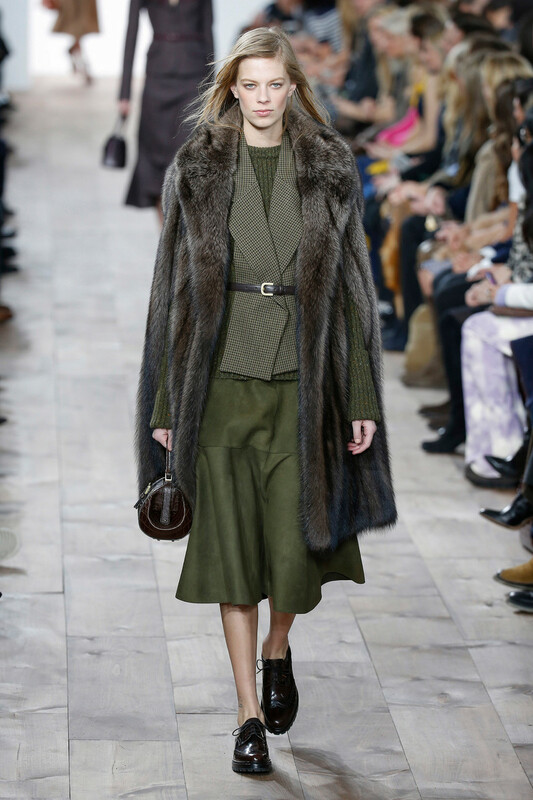 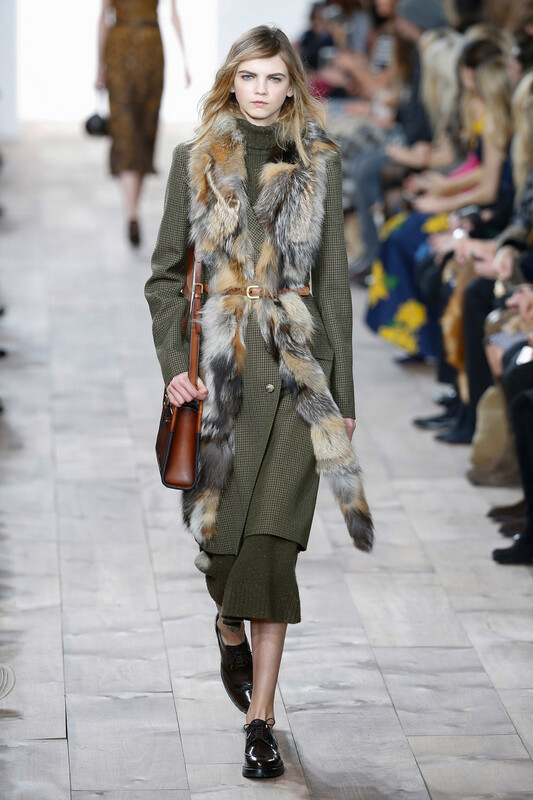 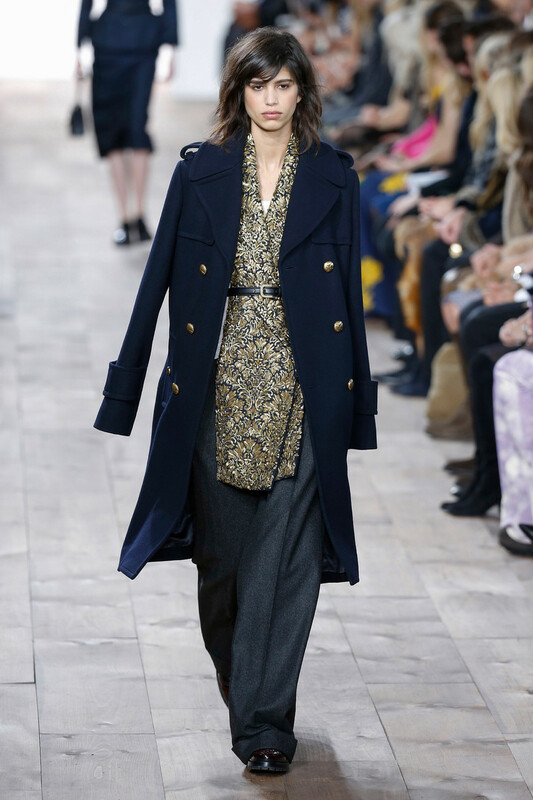 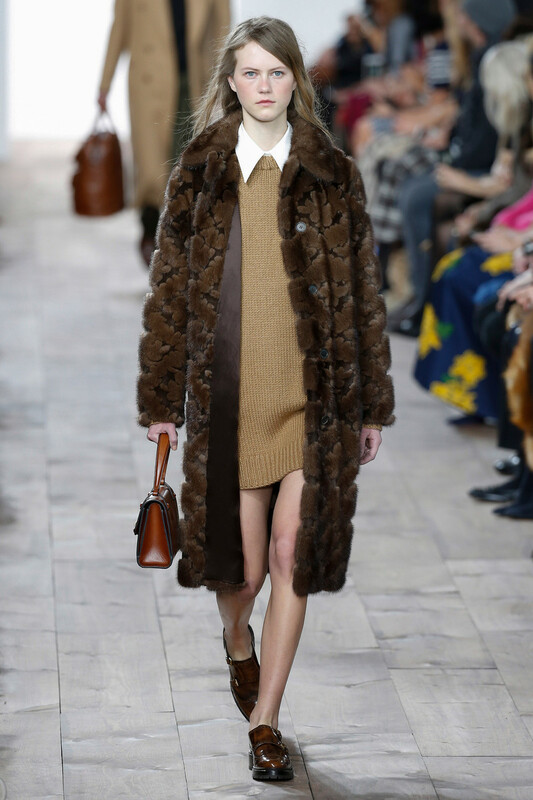 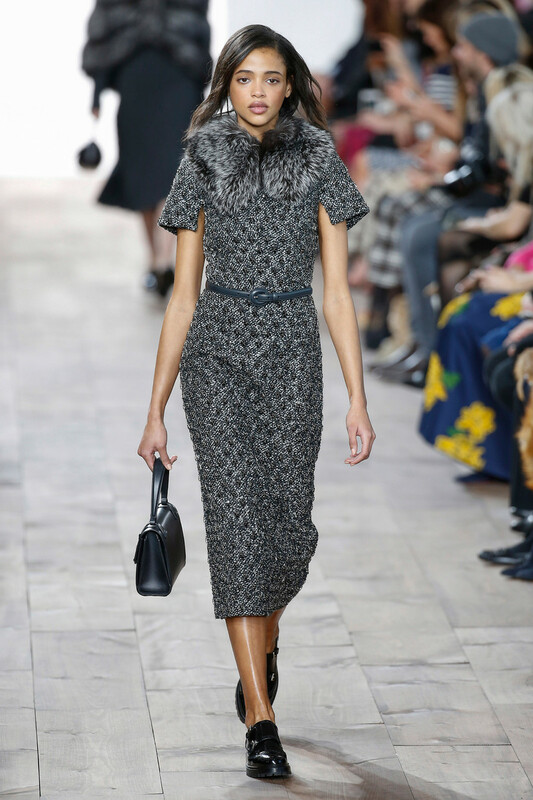 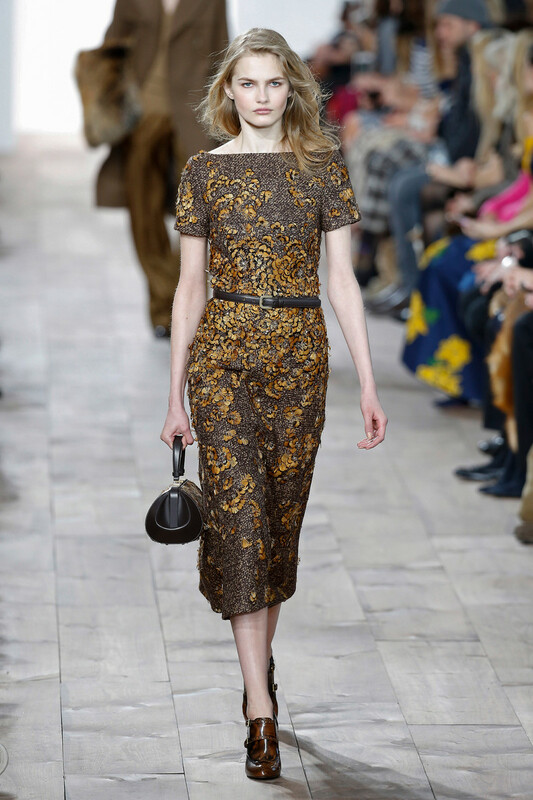 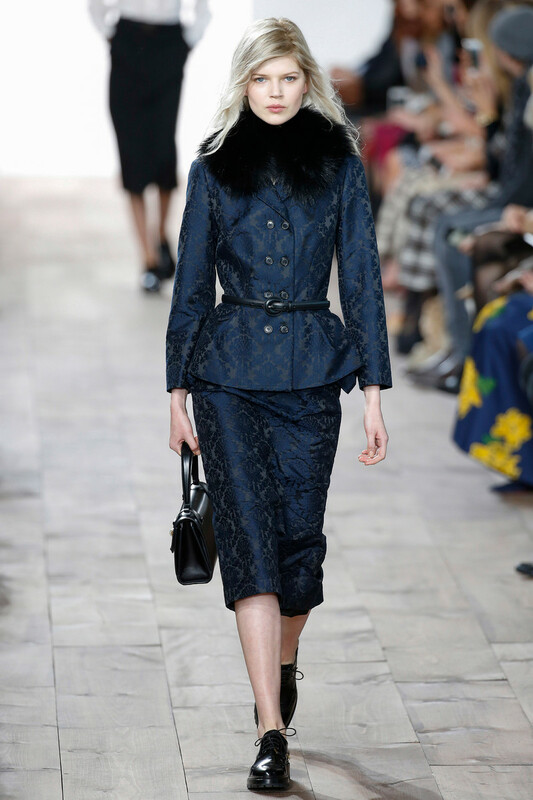 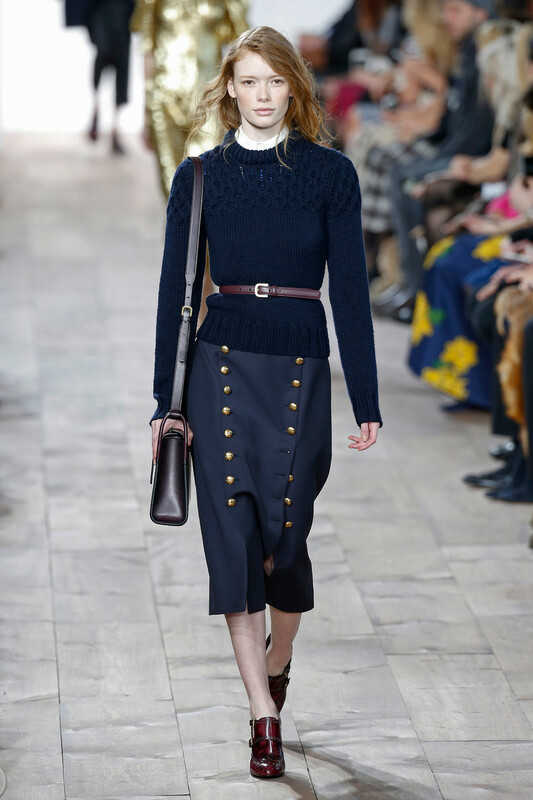 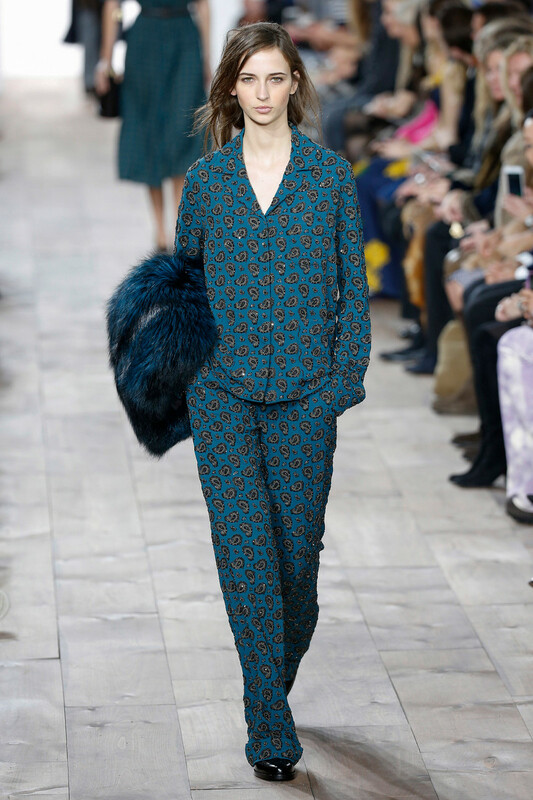 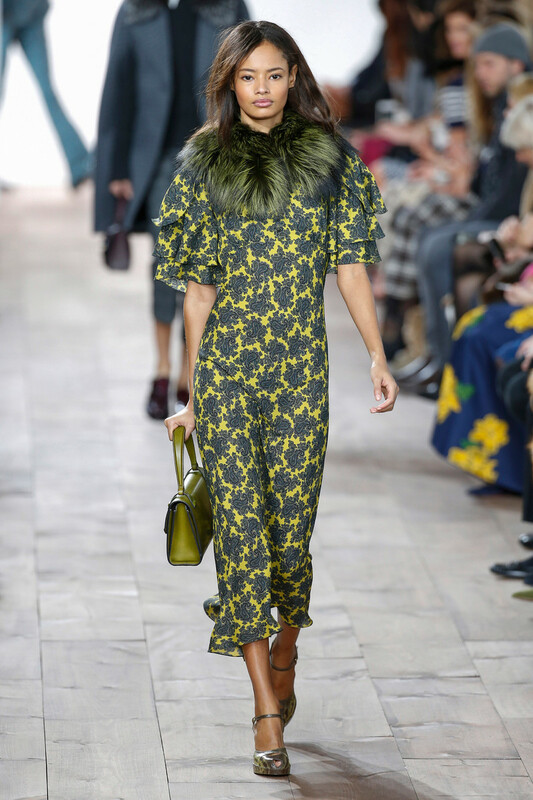 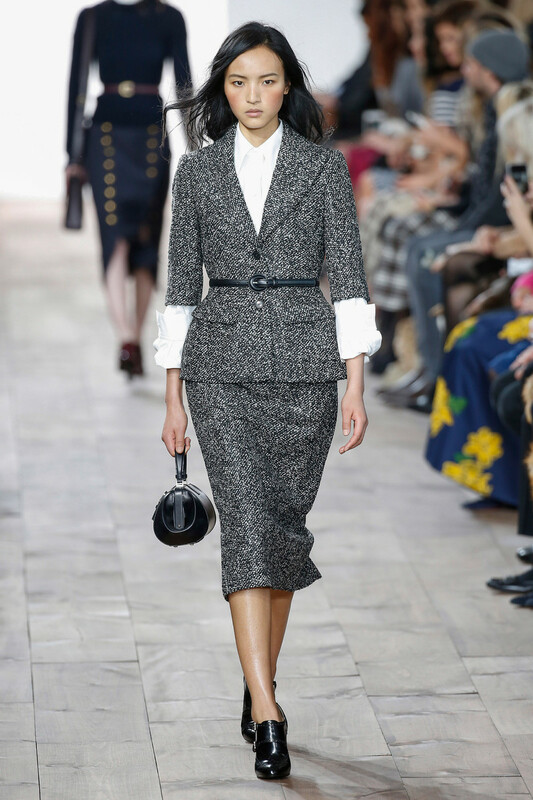 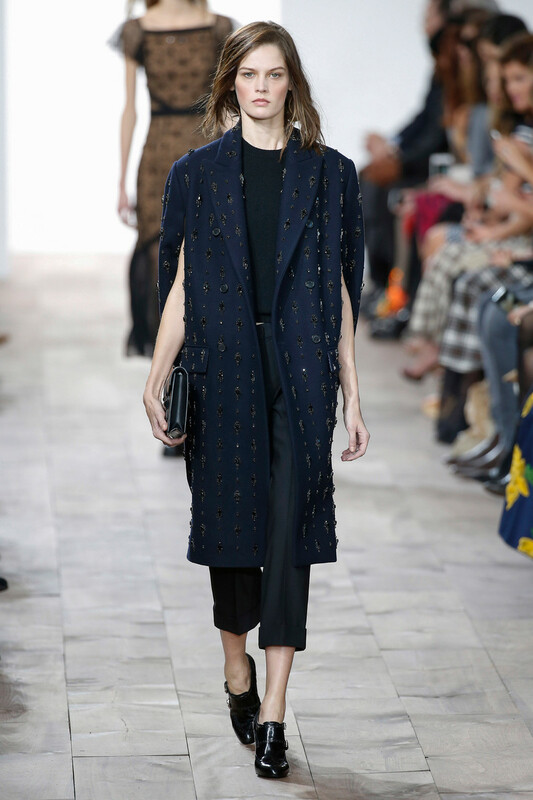 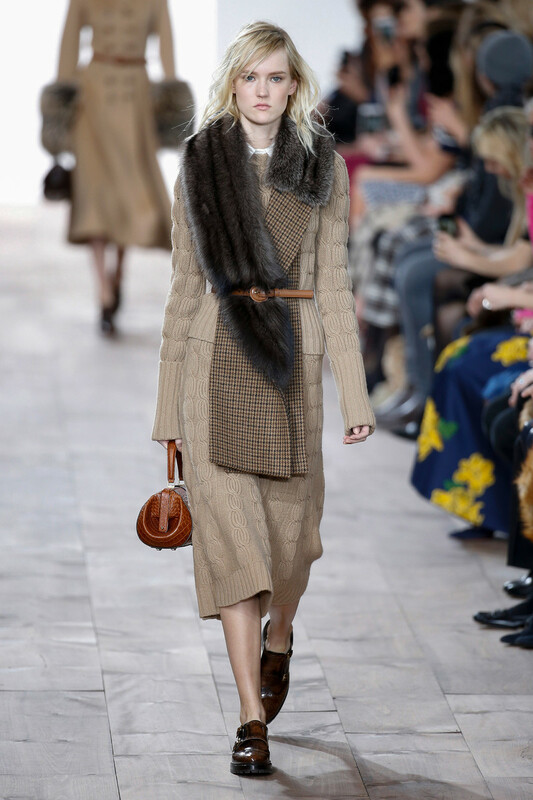 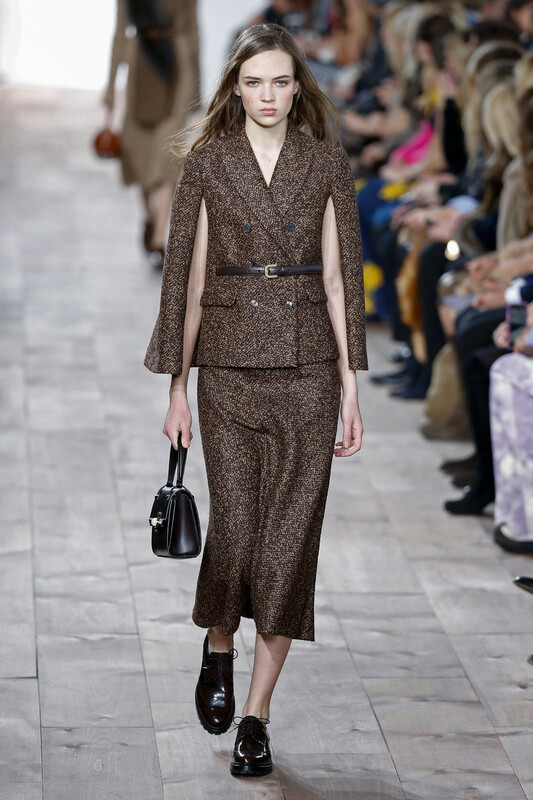 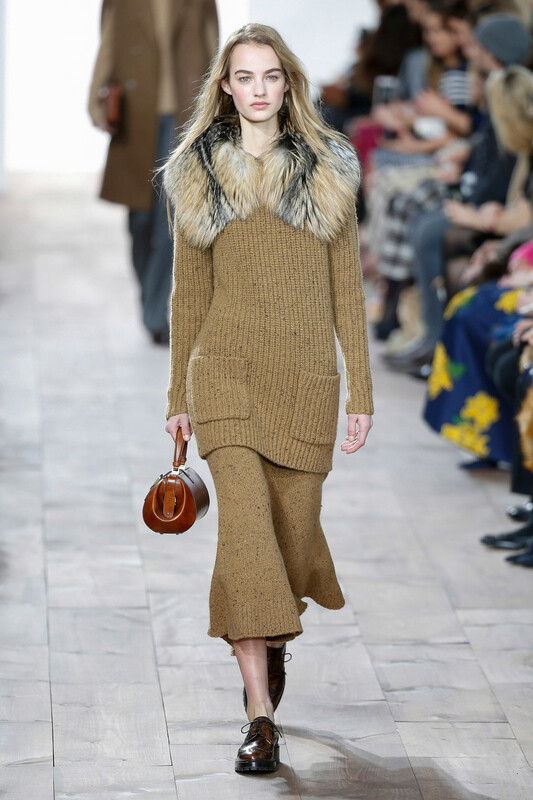 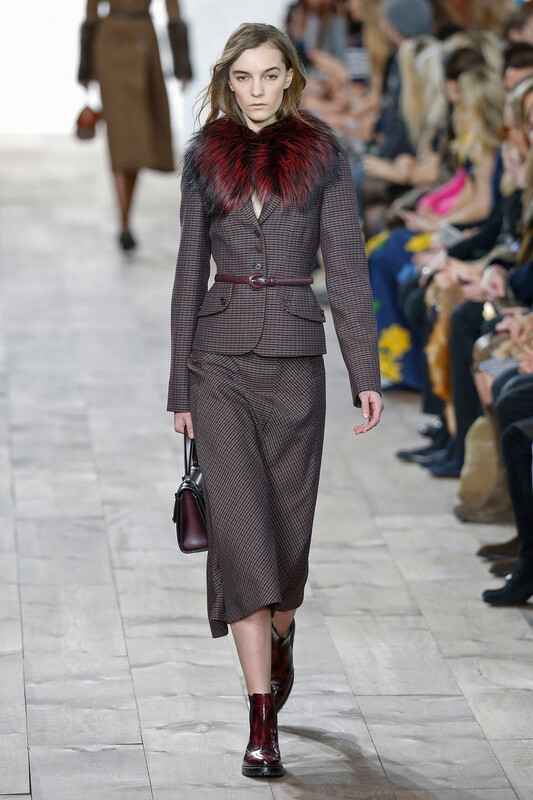 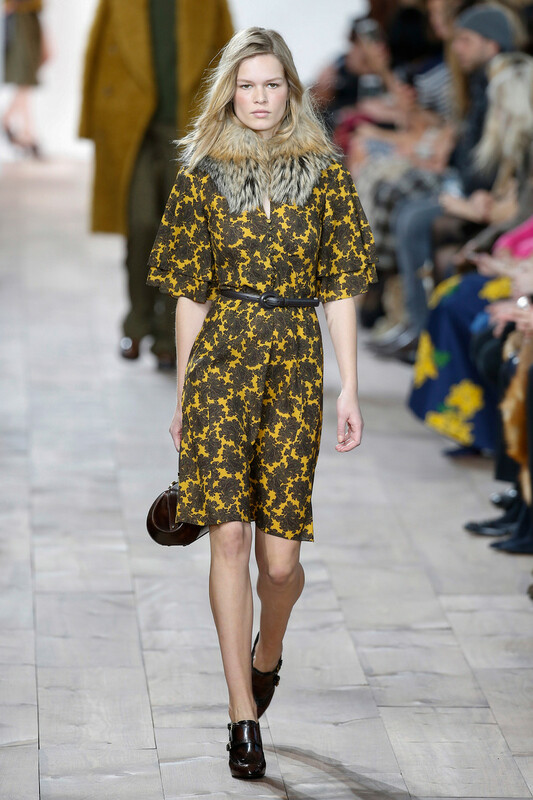 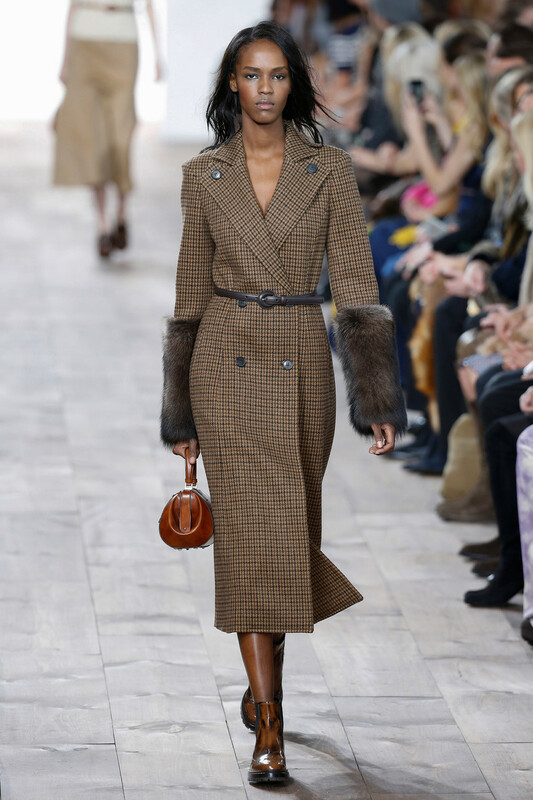 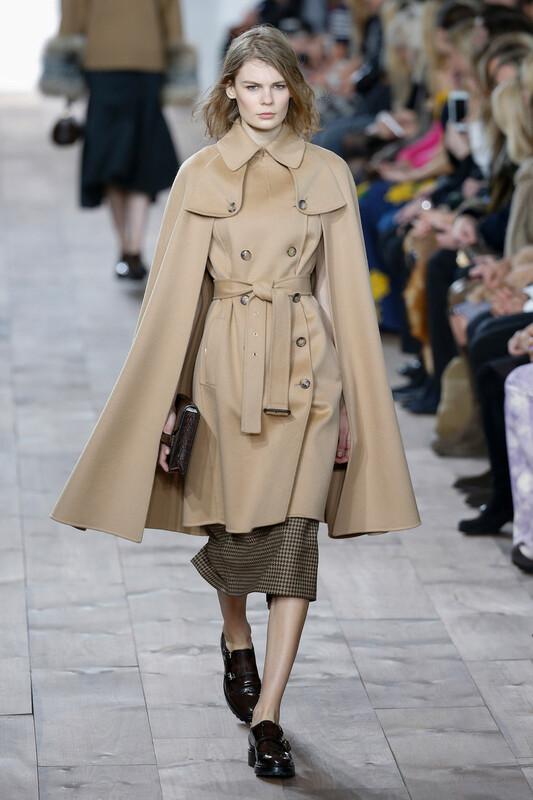 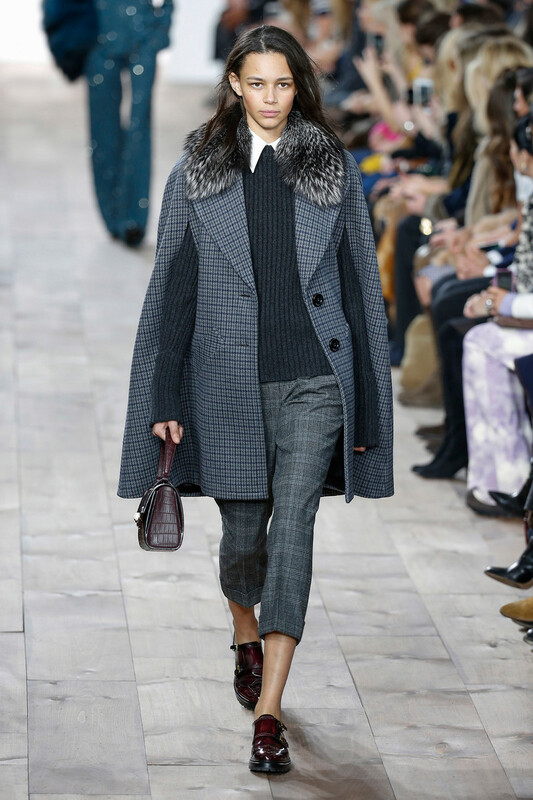 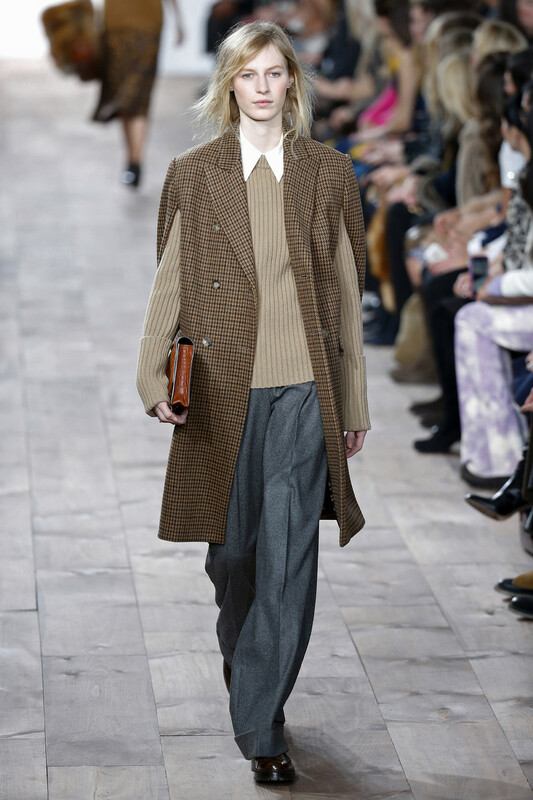 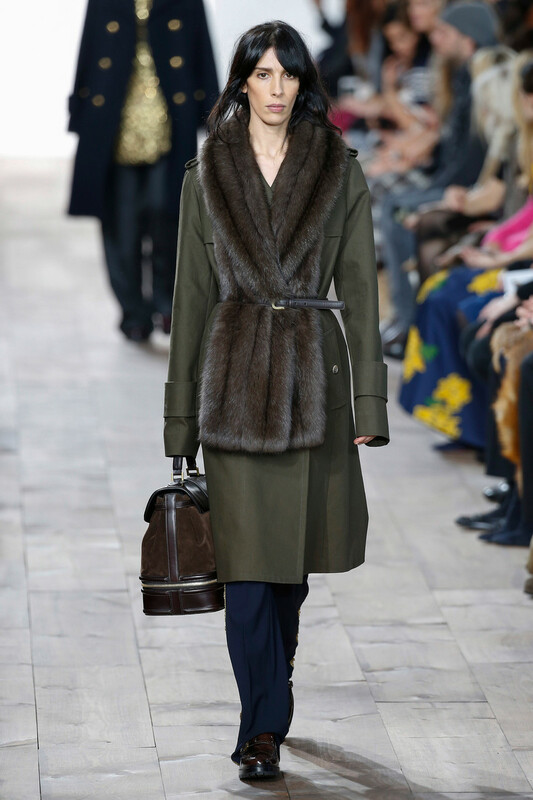 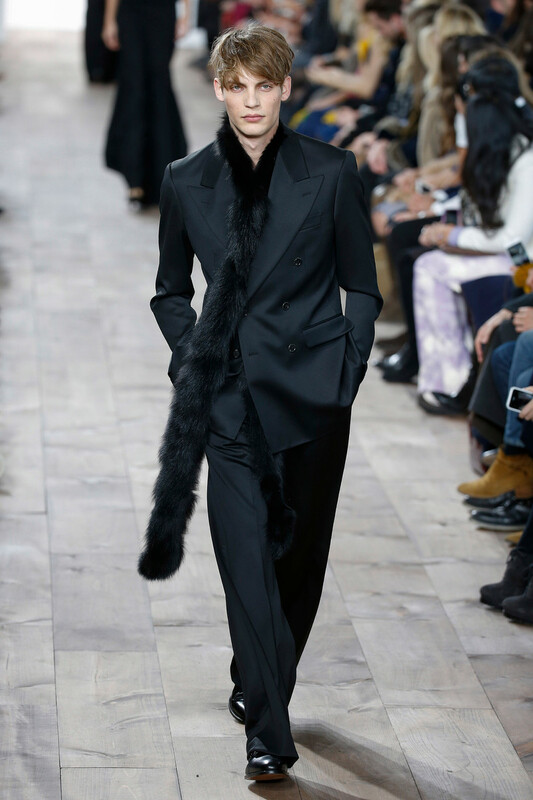 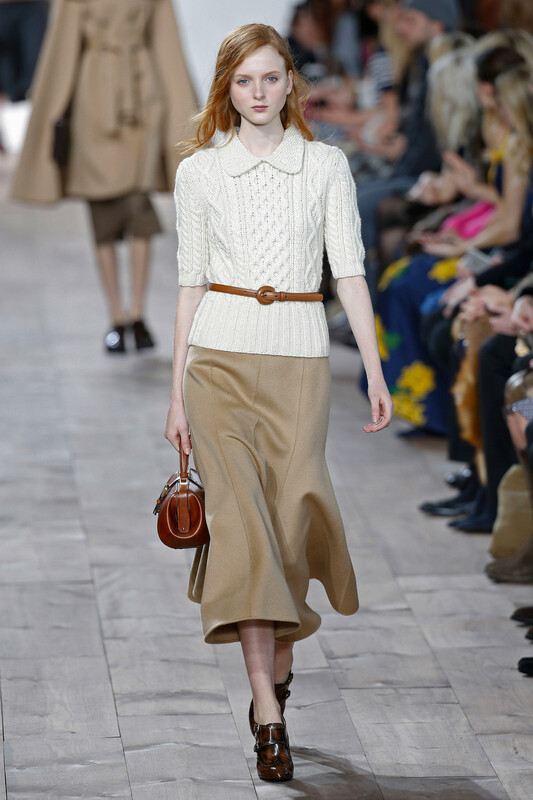 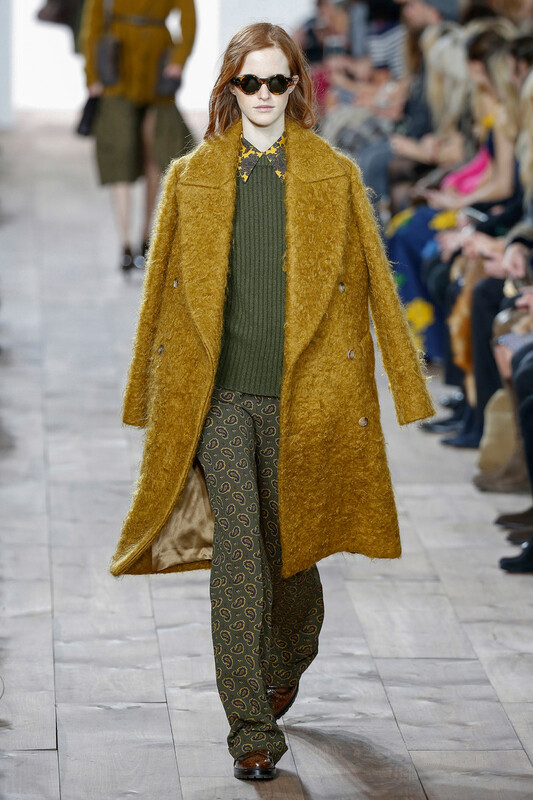 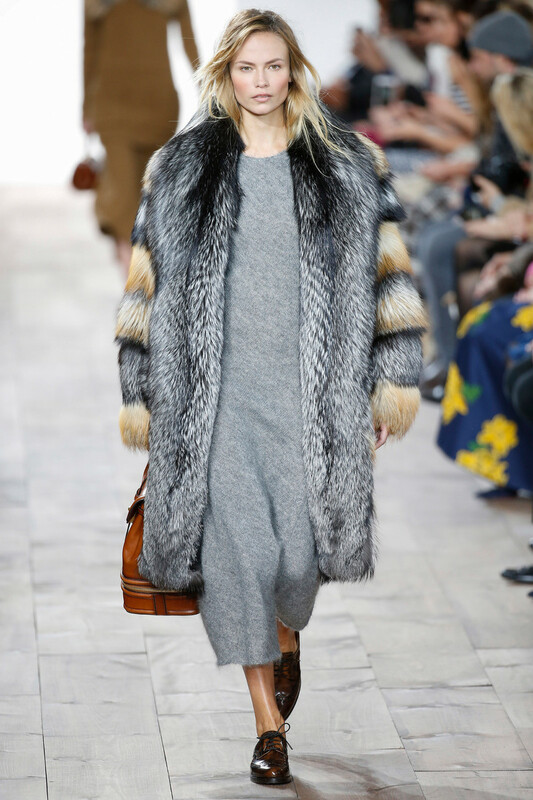 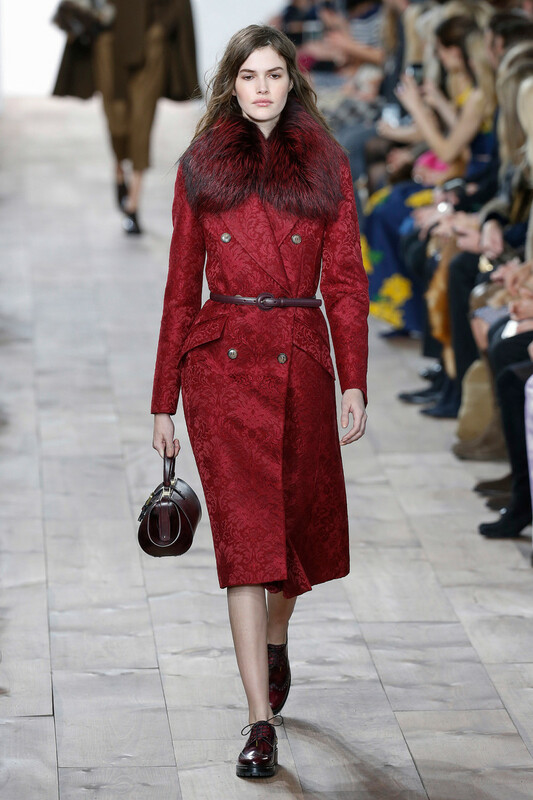 Opulent restraint, that was the theme of Michael Kors fall 2015 collection. 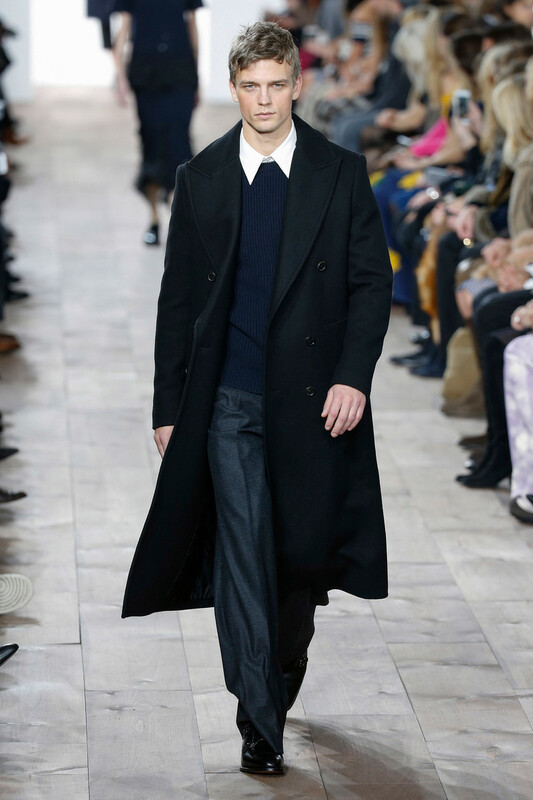 A very American idea referring to Wallace Simpson, Carolyn Bessette Kennedy. 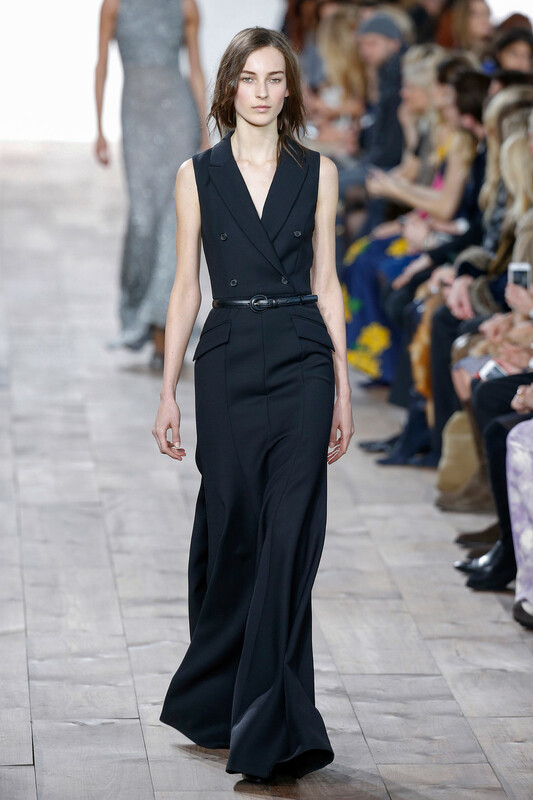 All of these women understood how to play with the yin and the yang. 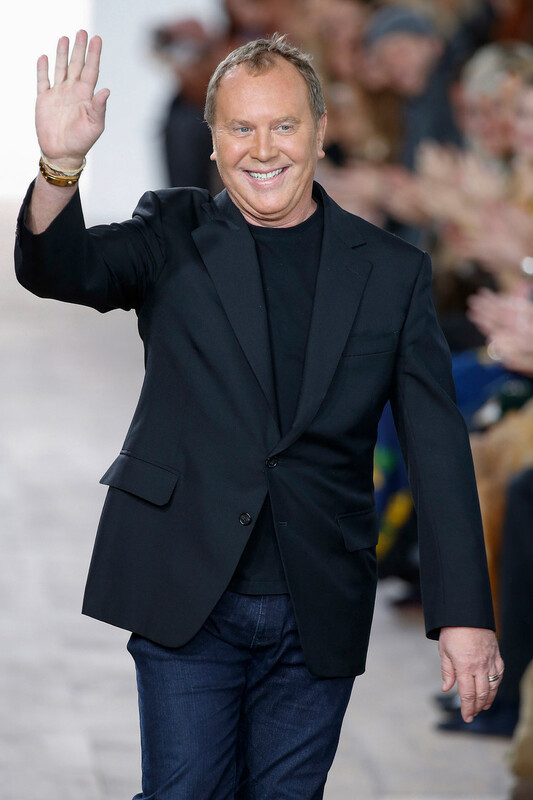 Kors’ fall collection was runway reality at its most alluring. 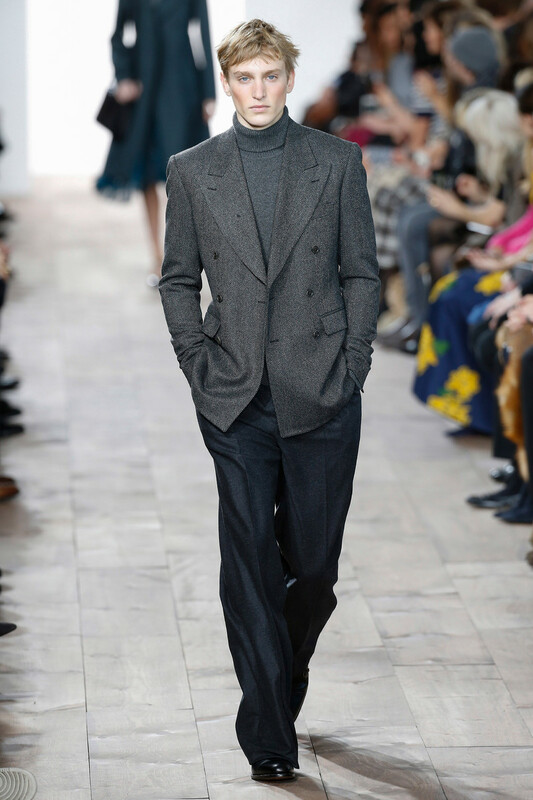 He showed both languid and tailored, the former in pretty bias dresses and sweater dressing; the latter working that gender yin-yang crossover — tweeds, trousers, crisp shirts and especially the outerwear, including a trench-cape hybrid worthy of an ultrachic Sherlock. 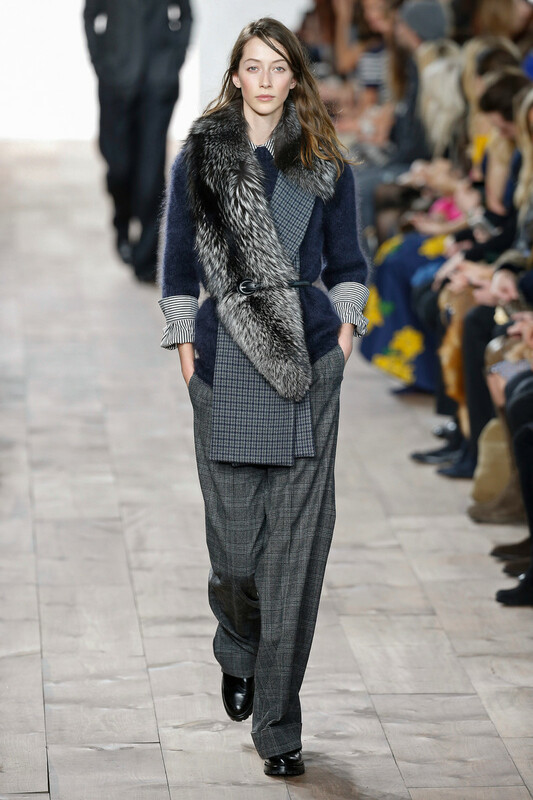 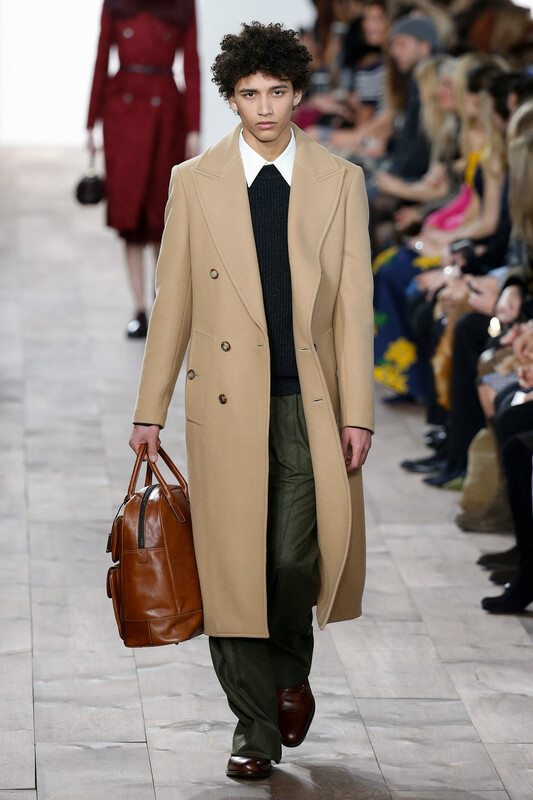 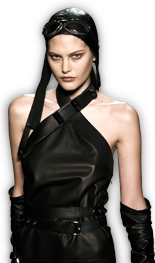 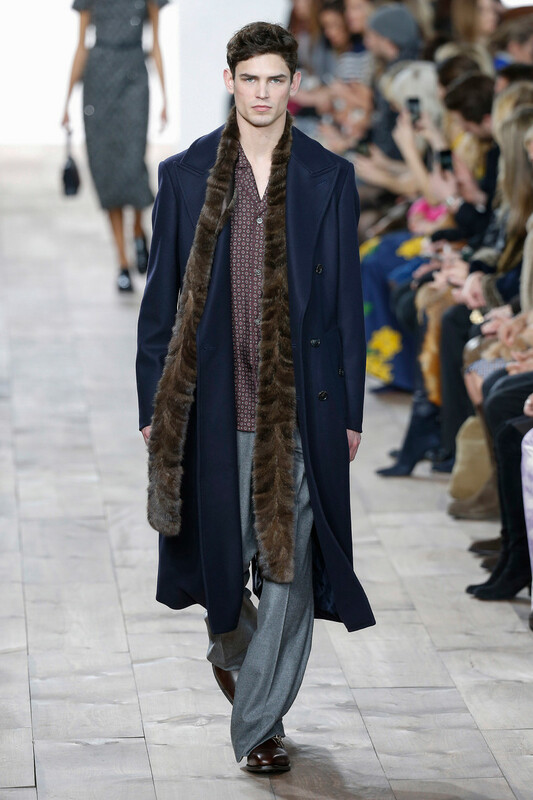 In the opulent column, Kors’ fabrics were luxe, but often quietly so — the tony cashmeres and wools, the silk foulards.